The first act, Milk Drive was not announced, and I had not seen them before. 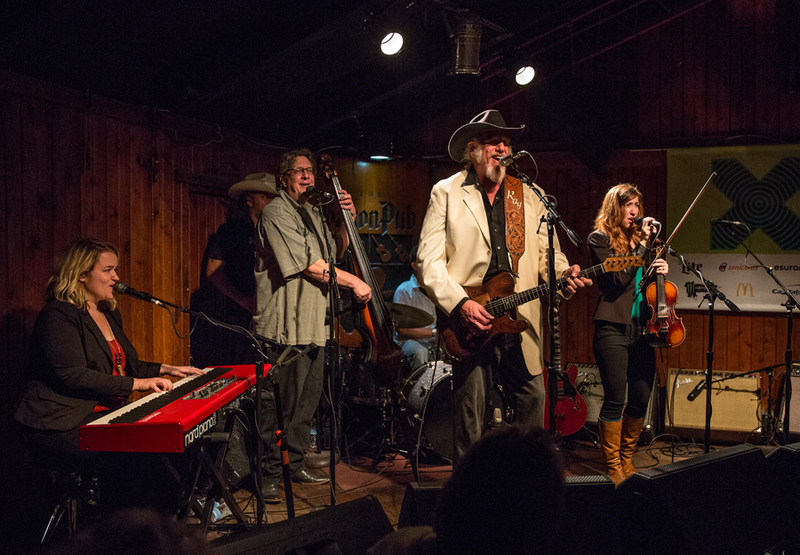 But they definitely convinced me to why Ray Benson in Asleep At The Wheel has signed them to his record company Bismaux Records. 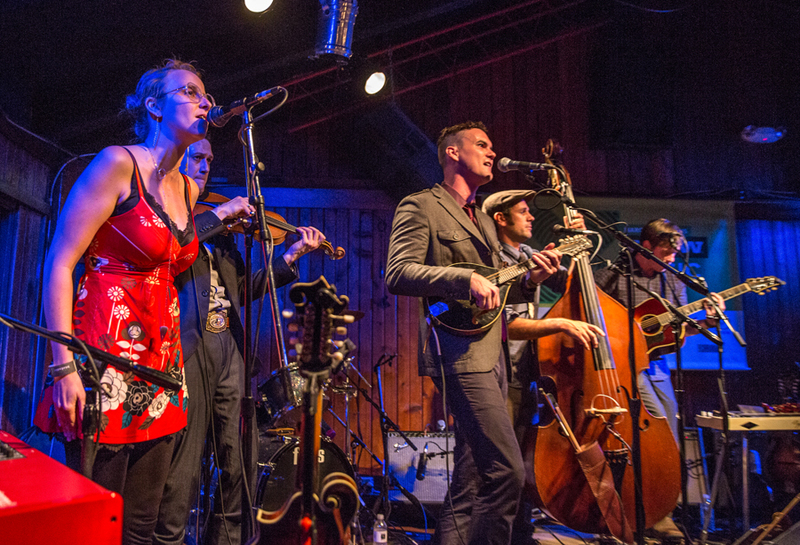 They are a kind of a high speed extended bluegrass band with acoustic instruments and a repertoire of good and catchy songs. Specially the main fiddler (the members are more or less multi-instrumental) impressed me with his solos. 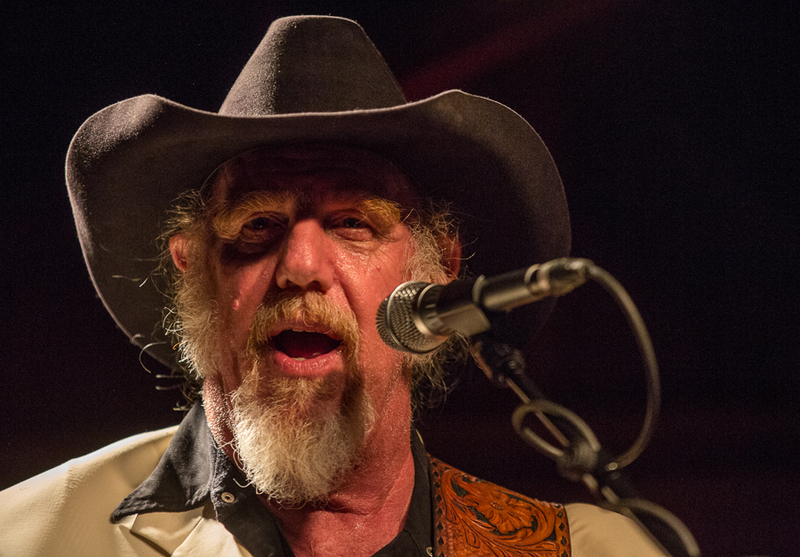 Asleep At The Wheel has been going on since 1971, making it a 44 year uninterrupted run. They have won numerous Grammys and definitely belong to the country music royalty in the US. The band just released their third CD with Bob Wills material, Still The King. 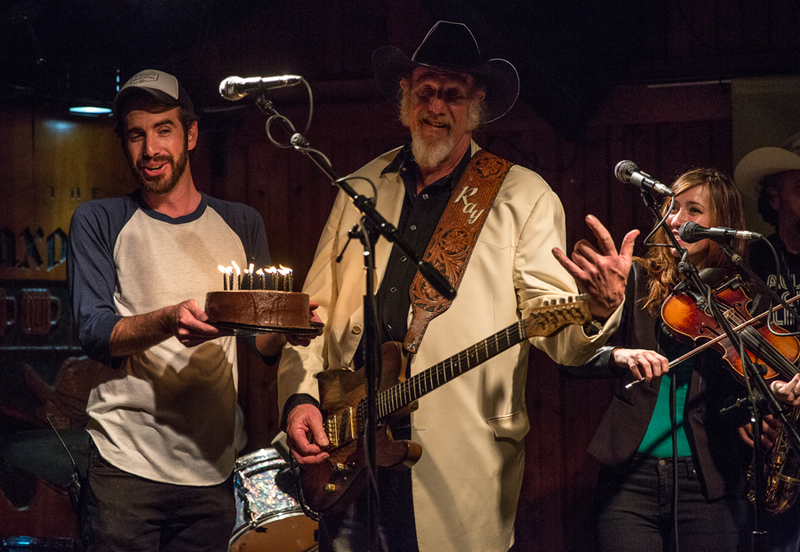 On top of that, March 16 was Ray Benson’s 64th birthday, and he has used to celebrate his birthday every year with a concert with many musical friends. 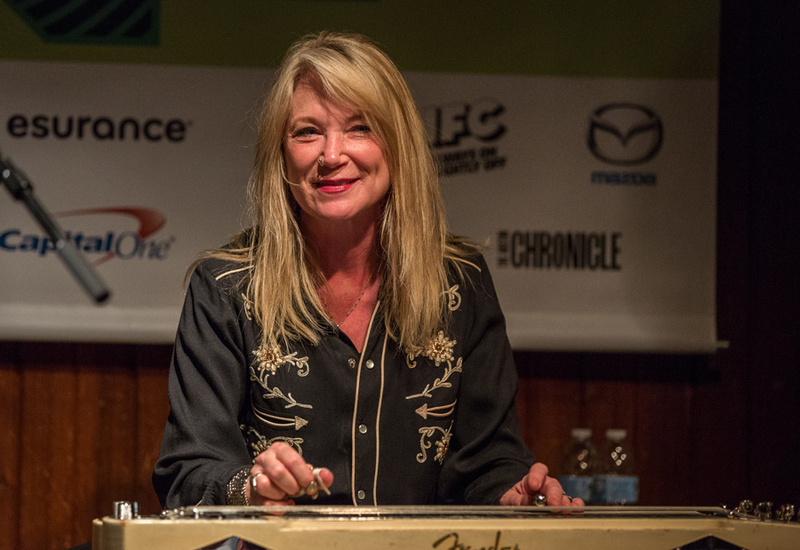 This night was a double treat, we got many Bob Wills songs, and also musical guests like Dale Watson, Brennen Leigh, plus The Queen of the steel guitar, Cindy Cashdollar. On top of this, Ray Benson sang It Ain’t You, written by Waylon Jennings and Gary Nicholson, from his latest solo CD, A Little Peace. In my opinion this is an album that should have got much more recognition than it has got. 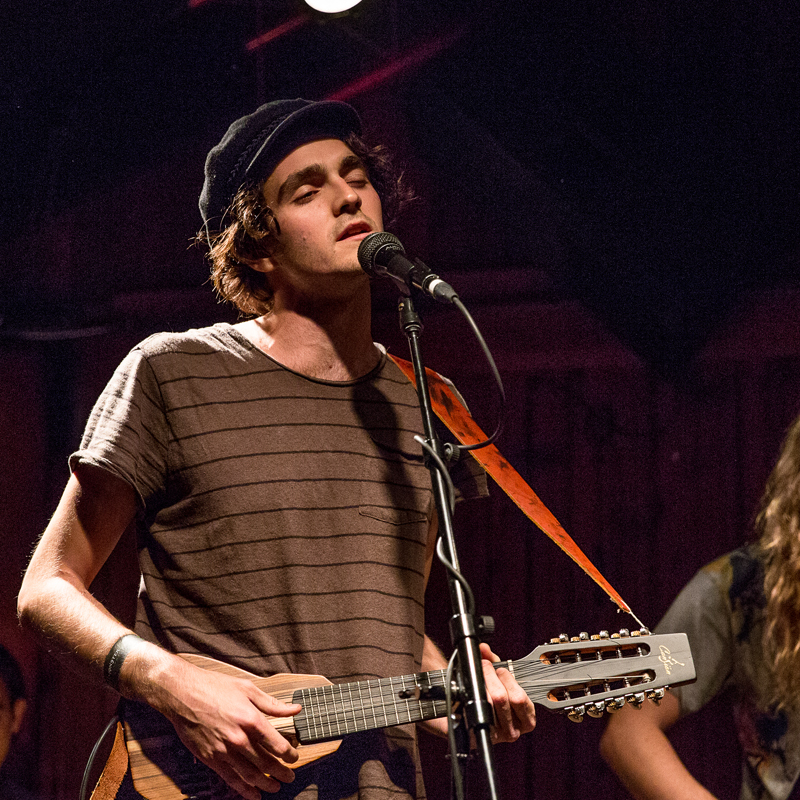 It Ain’t You is a duet with Willie Nelson on the CD, but Ray’s version Tuesday night was as good as it gets. The song has become one of my favorite songs, together with the rest of the CD. 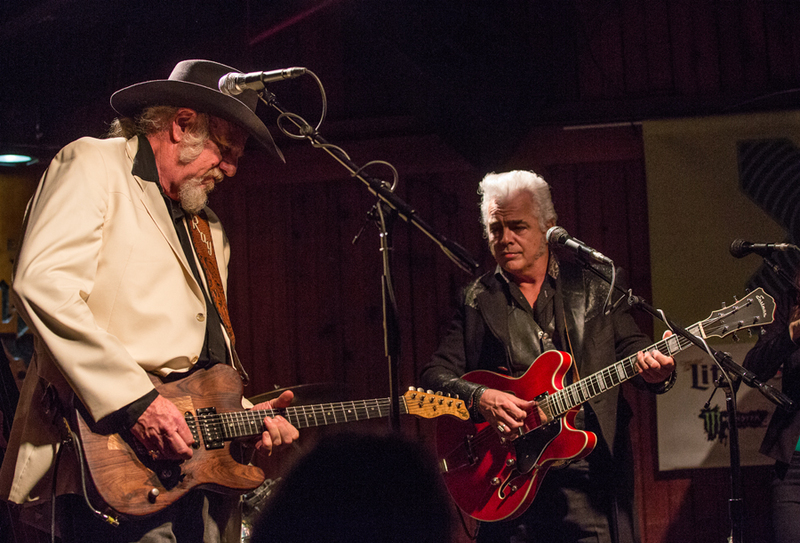 As usual with Asleep At The Wheel, they played a long concert, over two hours, and it was when Cindy Cashdollar came in on steel guitar that the audience really started to heat up. She played with the band for some 11 years, and I remember her from the first time I saw the band in 2001 or 2002. 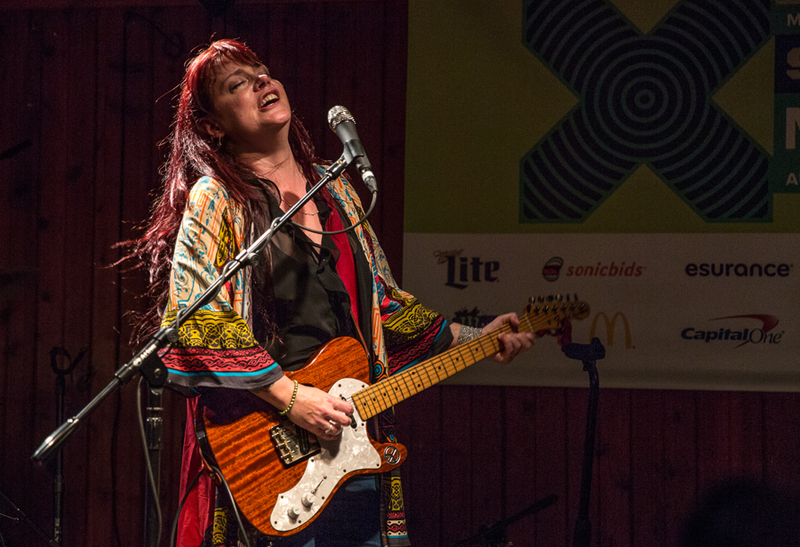 Since then she has played with lots of other artists, among them Van Morrrison, and now she is, regretfully, moving from Austin to Woodstock. Her playing is in my opinion unique, and she got big applauses for her solos. 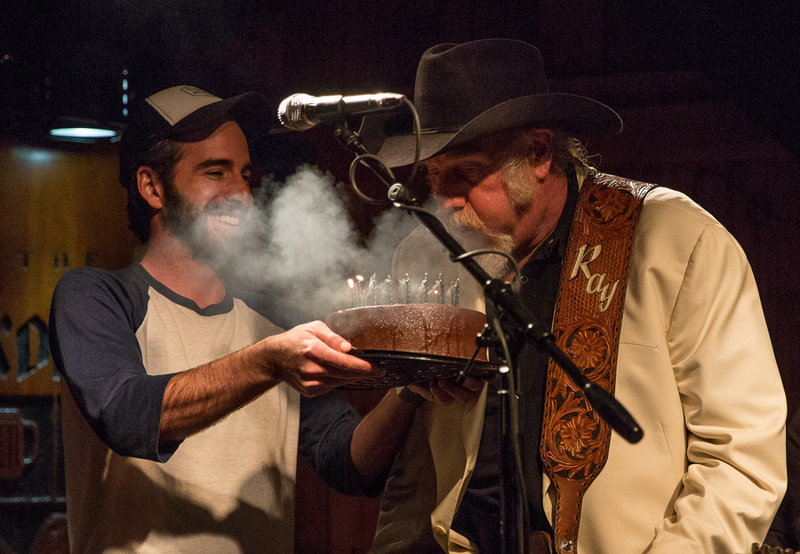 As a closing of their concert, Ray got his birthday cake and had to blow out the lights. More than two hours had gone, and I could have taken another hour with no problem. The band have changed personnel several times during the years, and many of the musicians are new since I saw them last year. 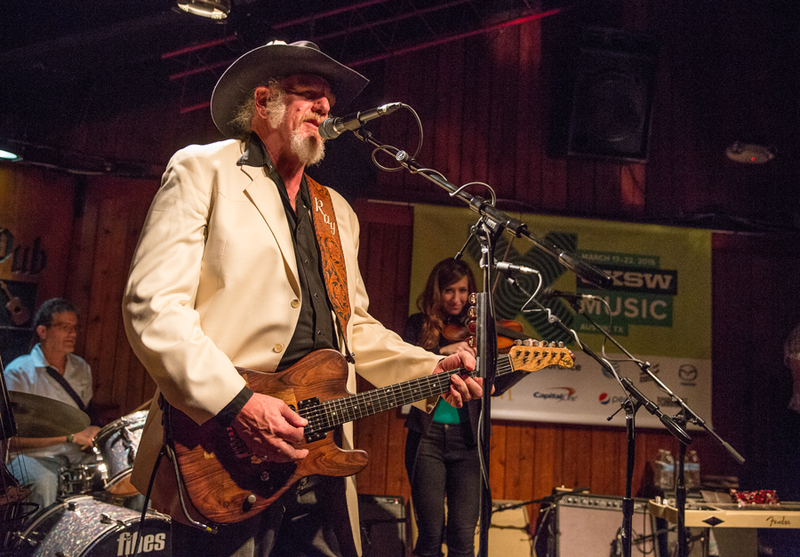 But their foundation is so good that it almost doesn’t matter, as long as Ray Benson is in front – no disrespect to his musicians, of course, since all of them are top notch on their instruments. 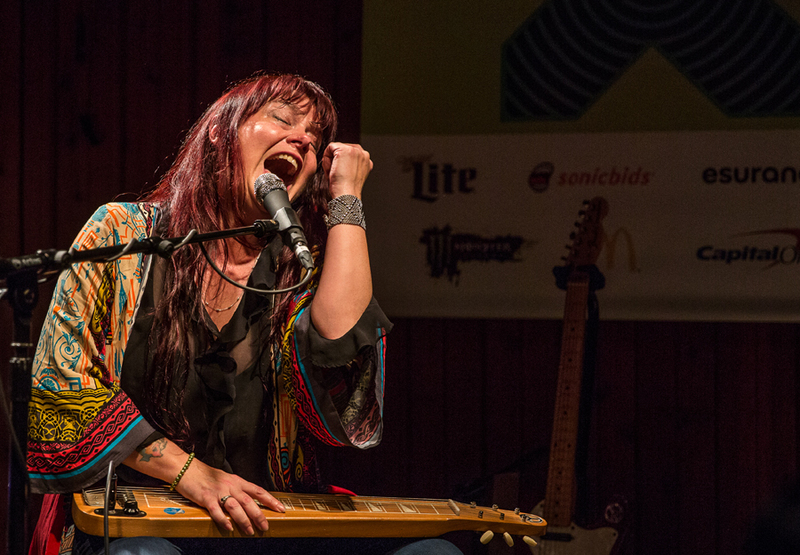 After Asleep At The Wheel, the stage was set for Carolyn Wonderland. I don’t know how many times I have seen her, but I never tire of her concerts. Since last year, the band’s drummer, Robert Hooper, has moved to California, and their new drummer, Kevin Lance, has been with the band for some three months. His style is more rock oriented than Robert’s and that makes the band going in a slightly new direction. At the concert Carolyn and the band played some new songs, and I am really looking forward to the new CD when that comes out. As a bonus on the last two songs, Shelly King joined them, and then Guy Forsyth also came up and sang harmony on their last song. 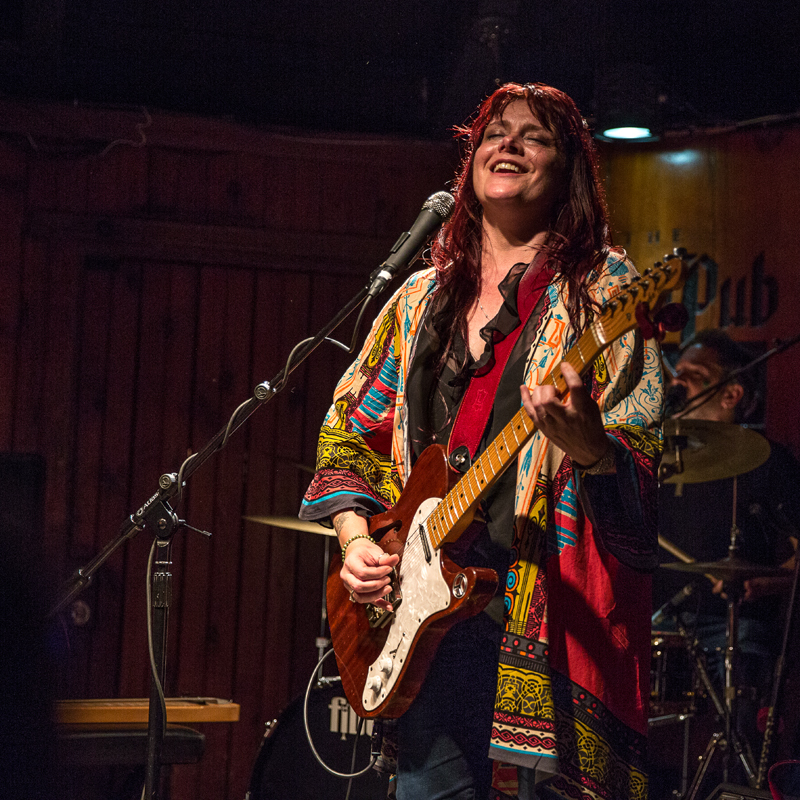 The audience really loved them, and I am so happy for Carolyn Wonderland that she gets more and more recognition for her excellent artistry. The last band out at Saxon on Tuesday night were Insects vs Robots. 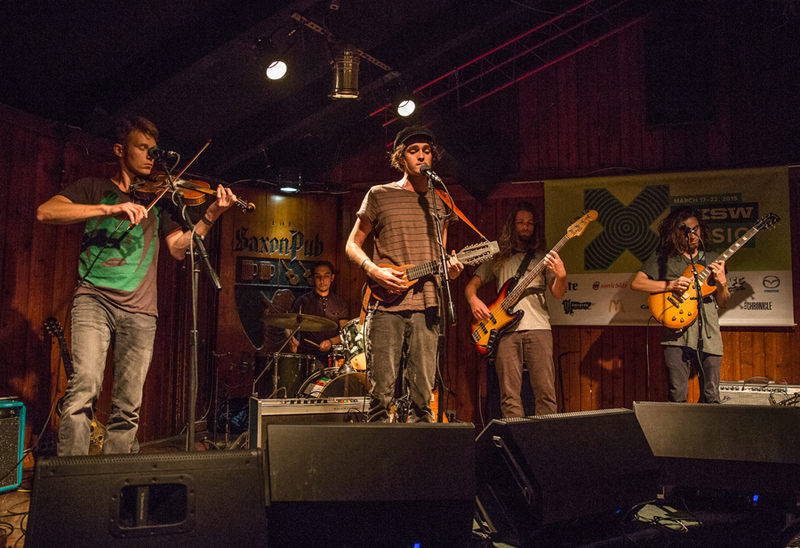 They are a band I have never heard or seen before, but the band’s leader is Willie Nelson’s son Micah Nelson. They were absolutely excellent, sounding a bit like what Grateful Dead would have sounded like if they had started out today, mixed with a little Zappa. But first of all they have their own unique sound. I must admit to not knowing much about them, but it seems like dad’s genes have helped a bit for Micah. I will follow them closely further on. 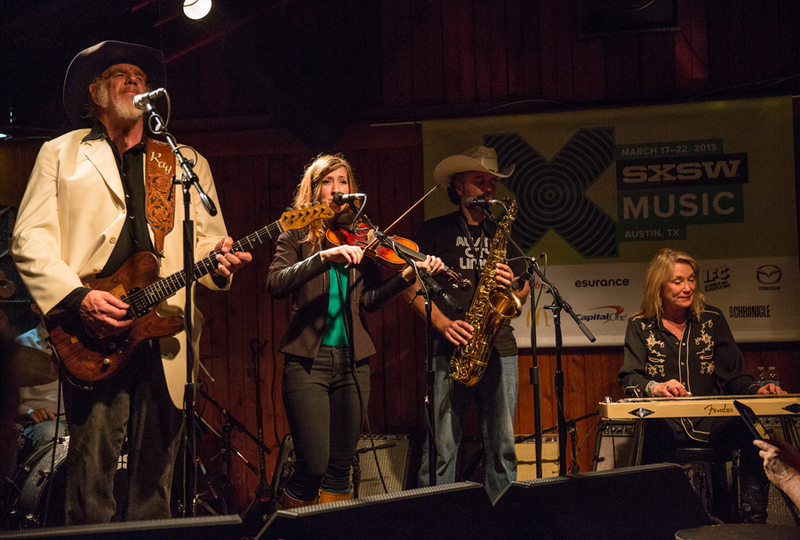 This entry was posted in Concert, Festival, SXSW and tagged Asleep At The Wheel, Carolyn Wonderland, Cindy Cashdollar, Dale Watson, Insects vs Robots, Ray Benson, Saxon Pub by Per Ole Hagen. Bookmark the permalink.